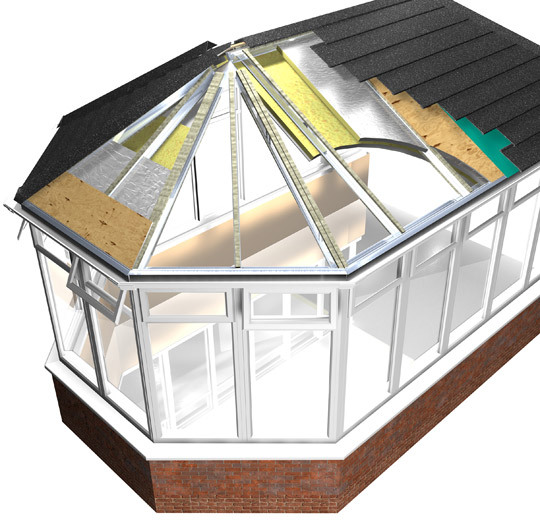 Designed to be installed on to your existing conservatory framework, the very latest Supalite roofing system will transform your conservatory in to a living space that you can use all year round. If you have been experiencing varying degrees of temperature, too hot in summer and too cold in winter then Supalite offers the perfect solution. 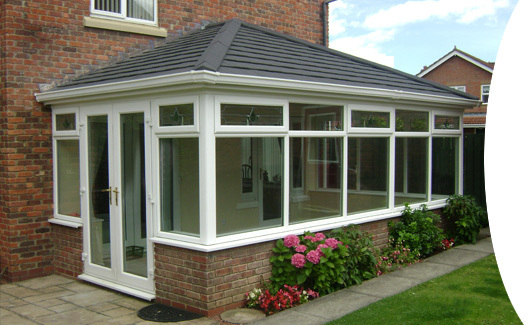 Now you can benefit from your Conservatory all year round with the latest advance in Conservatory roof developments. Changes to National Building Regulations on 1st October 2010 paved the way for a solid roof to be used on new or existing Conservatories providing certain conditions were met. In fact over 95% of all Conservatories already meet with these conditions. That means that you can radically upgrade your existing Conservatory or purchase a new Conservatory that will be usable 365-days each year. Supalite gives an incredible u-valve of 0.18W/n2K. This meets current England and Wales building regulations. A choice of five tile colours and natural effect slate. Tiles tried and tested for many years in USA, Canada and Australia, giving total peace of mind in extreme weather. Tiles with a life expectancy of over 40 years. Large roof vents available to allow maximum light. Full range of colour matching facias, soffits and gutters to suit your choice of windows frames. Choice of internal ceiling finishes (eg: plaster or tongue and grooved timber). Easy to install on to existing conservatory framework.